Enjoy the top 2 famous quotes, sayings and quotations by Caroline Miller. 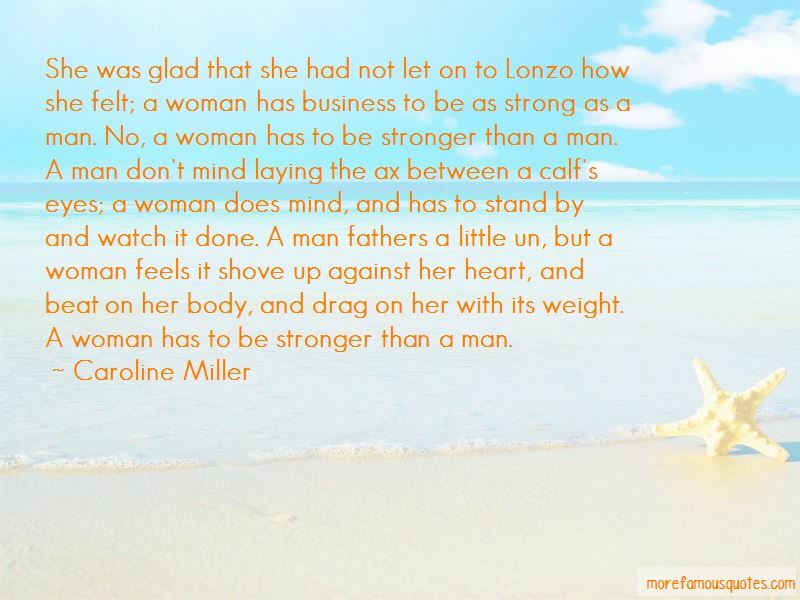 She was glad that she had not let on to Lonzo how she felt; a woman has business to be as strong as a man. No, a woman has to be stronger than a man. A man don't mind laying the ax between a calf's eyes; a woman does mind, and has to stand by and watch it done. A man fathers a little un, but a woman feels it shove up against her heart, and beat on her body, and drag on her with its weight. A woman has to be stronger than a man. Want to see more pictures of Caroline Miller quotes? Click on image of Caroline Miller quotes to view full size.